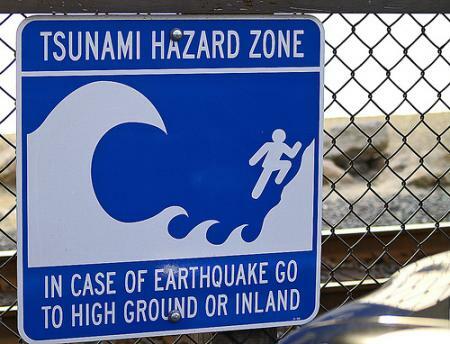 Home > Tsunami Warning in Japan Poses the Question, "What's Next?" The Japan Meteorological Agency reported that the earthquake struck Okinawa at 5:31am, Japan Standard time, with an epicenter located thirty-one miles east and six miles underground of Naha City, the capital city of Okinawa. Lt. Col. Daniel King of the U.S. Pacific Command stated that the earthquake shook Okinawa for about fifteen seconds. Contrary to popular belief, Joshua Williams from the Japan Headlines Examiner reported that this earthquake was not a result of the earthquake that occurred in Chile. Instead, the Okinawa earthquake resulted from a strike-slip fault. A strike-slip fault is where rocks on both sides of the fault line slide horizontal and parallel to each other and the resulting friction creates the tremors known as an earthquake. Fortunately, the Japan Headlines Examiner reported that the earthquake in Okinawa caused no serious injuries, but there were seventy-five reports filed pertaining to structural damage. Reporter Kristina Donaldson for CNN news stated, “I just walked down the coastline and the kids are walking to school as they always do. No sirens, or any destruction from where we are.” Although one danger was past, fear was still prevalent in the minds of the Japanese citizens. They feared the earthquake’s aftermath, which was predicted to be a major tsunami. On February 28th, the day after the quakes erupted in Chile and Okinawa, the Japan Meteorological Agency released tsunami warnings directed towards the majority of Japan’s pacific coastline, as well as for Aomori, Iwate and Miyagi. The warnings caused such worry that the television coverage shifted from what was happening in the Olympics to which coastal areas were forced to evacuate and what safety measures should be taken. Memories of past anguish intensified the worry of the Japanese citizens, as back in 1960, another Chilean earthquake had sent thirteen-foot ocean waves crashing into the coast of Japan, causing the deaths of 142 people. With this past experience embedded in the minds of the citizens and government of Japan, many precautions were taken in order to avoid a similar tragedy from happening again. Businesses located on the coastline of Japan were shut down for the day, and twenty-two train lines located in eastern Japan, along with seven lines in Shikoki and four lines in Kyushu, were closed. On February 28th, at 1:00pm-Japan Standard Time, the preliminary minor four-inch waves began arriving on the coast of the eastern Japanese islands. About an hour later, tsunamis measured to be less than one meter in height began surfacing on the mainland of Japan. Many of the citizens were shocked and surprised that the highest tsunami waves to hit Japan were measured to be only around four feet. Towns on the coastline of Japan reported some flooding, and the Japan Headlines Examiner reported water being forced up into river outlets, but no serious damage occurred. Thanks to cautious efforts made by Prime Minister Yukio Hatoyama and the Japanese government, there were no injuries or deaths as a result of the quake or tsunamis. Read more about surviving recent natural disasters in articles about the effects of Haiti's earthquake, the resulting Haitian health crisis, and the earthquake in Chile. Featured picture was taken from user Patrick Powers on www.flickr.com , which is permitted according to the Creative Commons liscence. The original picture can be found at http://www.flickr.com/photos/ppowers/343448083/.